Occupational injury status of paramedics. I received my PhD in Health Studies and Gerontology from the University of Waterloo in 2005, my Certificate in Adult Education (St. Francis Xavier University) and Certificate in University Teaching (University of Waterloo) in 2005, my MA in Gerontology from the University of Waterloo in 1995, and my BA in Psychology (Honours) from Carleton University in Ottawa in 1992. My research focuses primarily on the health and wellbeing of paramedics, with particular emphasis on occupational injury status and mental health. 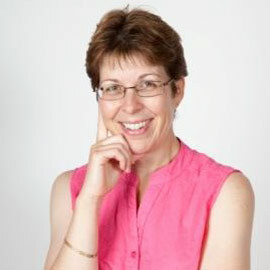 Additional research interests include: use of emergency departments and emergency medical services by the elderly; development and implementation of bona fide physical fitness testing parameters for the field of emergency medical services; treatment and outcome of pre-hospital cardiac arrests; and, the role continuing education in adult learners, specifically health care professionals. City of Waterloo Milestone Volunteer Award for Service (Kitchener‐Waterloo Rowing Club, 2001 ‐ 2011). Award of merit in recognition of volunteer services to the sport of rowing (Row Ontario, 2011). Volunteer Recognition Award (Rowing) (Kitchener Sports Association, 2007). I do not have any research assistantship opportunities for undergraduate or graduate students at the present time. I am willing to supervise undergraduate and graduate students with interests in the areas of: health, pre-hospital care / paramedics / emergency medical services, emergency departments, seniors. MacPhee, R. S., McFall, K., Tiidus, P., & Perry, S. “Mechanics and metabolic costs of walking in women with fibromyalgia”. BioMed Research Notes, 6, 420-428. MacPhee, R.S. & Robertson-Wilson, J. (2014). “The Research Process: Ask the right questions, get the right answers”. In K. Bassil & D. Zabkiewicz (Eds. ), Health Research Methods: A Canadian Perspective. Toronto: Oxford University Press. Fischer, S.L. & MacPhee, R.S. (2014). “A day in the life of a paramedic: A participatory approach to documenting the physical demands of paramedic work”. A report for Defence Research and Development Canada Centre for Security Science / Federal Government of Canada. Fischer, S.L. & MacPhee, R.S. (2014). “Paramedics team up with CRE-MSD to prevent musculoskeletal disorders”. News from the CRE (Spring Edition). MacPhee, R.S. & Fischer, S.L. (2013). “Broken Bodies, Broken Minds: Injuries Among Ontario Paramedics”. EMS Matters (Fall Edition). MacPhee, R.S. (2012). “The Ontario Longitudinal EMS Injury Study: Where we are, where we are going”. EMS Matters (Fall Edition). MacPhee, R. S. (2011). “Investigation of injury rates and causes of injury among Ontario Emergency Medical Services (EMS) Paramedics”. EMS Matters (Winter Edition).